Toast the pope’s visit with free beer/booze Celebrate the pontiff's visit from noon to 8pm at over 20 of Philly’s most iconic boozers with help from the Pope Crawl: Get your tickets here, score free drinks from Miller Lite & Tito’s vodka, then hit the after-party at CODA. Toast the pope’s visit with free beer/booze Various locations Celebrate the pontiff's visit from noon to 8pm at over 20 of Philly’s most iconic boozers with help from the Pope Crawl: Get your tickets here, score free drinks from Miller Lite & Tito’s vodka, then hit the after-party at CODA. 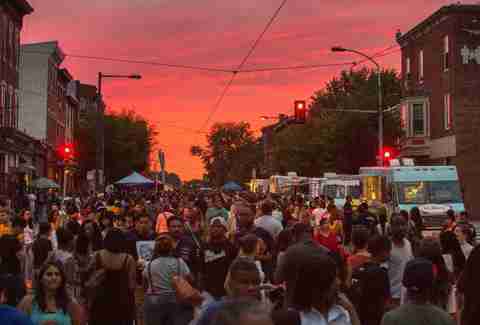 Hit the Night Market on Frankford & Girard The last Night Market of the year is hitting the intersection of Frankford & Girard in Fishtown from 6-10pm. Don’t miss it. 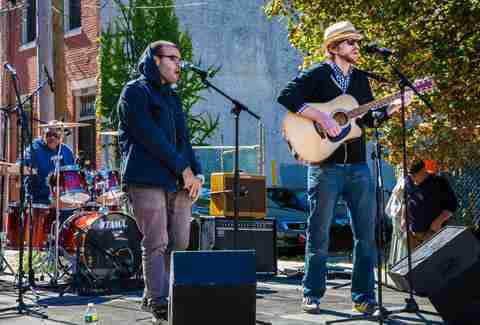 Hit the Night Market on Frankford & Girard Frankford & Girard in Fishtown The last Night Market of the year is hitting the intersection of Frankford & Girard in Fishtown from 6-10pm. Don’t miss it. Do Bloktoberfest Starting at noon, this massive block party boasts some of Philly’s sweetest craft beer, eats from local food trucks/other food-slingers, and a solid lineup of live music. Do Bloktoberfest South St West Starting at noon, this massive block party boasts some of Philly’s sweetest craft beer, eats from local food trucks/other food-slingers, and a solid lineup of live music. Post up at the world’s biggest pumpkin beer fest. This boozer's seventh annual CB Pumpkin Beer Festival is giving you a chance to try over 120 varieties of what is obviously the signature beer of the season. Post up at the world’s biggest pumpkin beer fest. The Institute Bar This boozer's seventh annual CB Pumpkin Beer Festival is giving you a chance to try over 120 varieties of what is obviously the signature beer of the season. 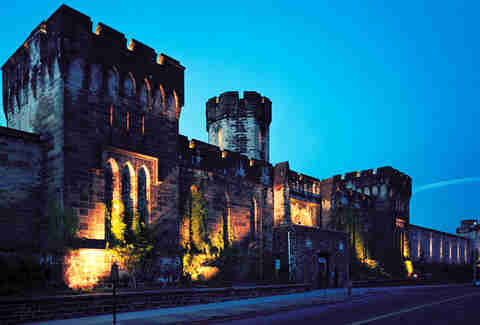 Terror Behind the Walls is skulking through all weekends and most weeknights this October at Eastern State Penitentiary. Grab tix for as low as $19 on October 4th, and discover six different cellblock attractions inside a legit former jail. 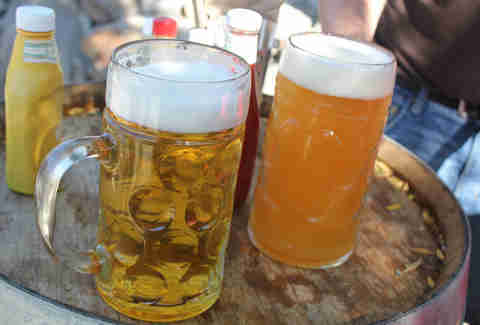 Slam steins at Oktoberfest Live! One of the best fall beer fests in the country, OL boasts space for over 15,000 people in both beer gardens, and German-style beer tents, where you can also nosh on stuff form some of the city’s sweetest food trucks, and hear live tunes from a bunch of different bands. Slam steins at Oktoberfest Live! XFINITY Live! One of the best fall beer fests in the country, OL boasts space for over 15,000 people in both beer gardens, and German-style beer tents, where you can also nosh on stuff form some of the city’s sweetest food trucks, and hear live tunes from a bunch of different bands. Eat a 450ft-long Cheesesteak. Seriously! The first-ever Philly Cheesesteak Festival will feature 40 different sandwiches you can sample, beer, carnival games, a zip line, live entertainment, and yes, the world’s largest cheesesteak. Don’t. Miss. This. Eat a 450ft-long Cheesesteak. Seriously! Lincoln Financial Field The first-ever Philly Cheesesteak Festival will feature 40 different sandwiches you can sample, beer, carnival games, a zip line, live entertainment, and yes, the world’s largest cheesesteak. Don’t. Miss. This. Combine sports with… science(?!) FI’s new exhibit, the SportsZone, opens today, and gives you a chance to explore how sport connects the science of the human body, the laws of motion, and… oh, never mind, it’s just 3,600sqft of sports stuff. Combine sports with… science(?!) The Franklin Institute FI’s new exhibit, the SportsZone, opens today, and gives you a chance to explore how sport connects the science of the human body, the laws of motion, and… oh, never mind, it’s just 3,600sqft of sports stuff. 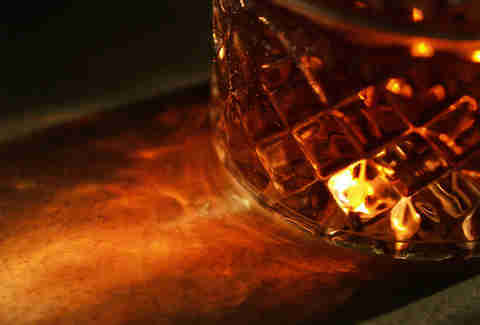 Crash the Whiskey & Fine Spirits Festival You’ve had enough beer already this fall, so hit Philly Mag’s sweet brown liquor celebration, where you can sample over 200 kinds of premium booze at the stadium’s SCA club. 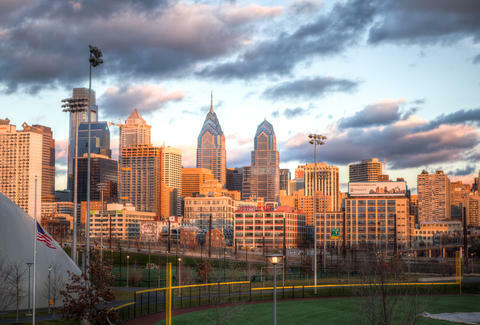 Crash the Whiskey & Fine Spirits Festival Lincoln Financial Field You’ve had enough beer already this fall, so hit Philly Mag’s sweet brown liquor celebration, where you can sample over 200 kinds of premium booze at the stadium’s SCA club. Eat a Gobbler at Wawa You might not know everything there is to know about Wawa, but by now you really should know it’s not Thanksgiving until you’ve had one of these seasonal subs. Err, hoagies. Sorry. Eat a Gobbler at Wawa Various locations You might not know everything there is to know about Wawa, but by now you really should know it’s not Thanksgiving until you’ve had one of these seasonal subs. Err, hoagies. Sorry. Go ice skating For three months, the Rothman Institute Ice Rink will transform the west side of City Hall into a sweet date spot that boasts a warming tent, classes, and more through February. Go ice skating Dilworth Park For three months, the Rothman Institute Ice Rink will transform the west side of City Hall into a sweet date spot that boasts a warming tent, classes, and more through February.